Are your kids starting to learn the numbers? 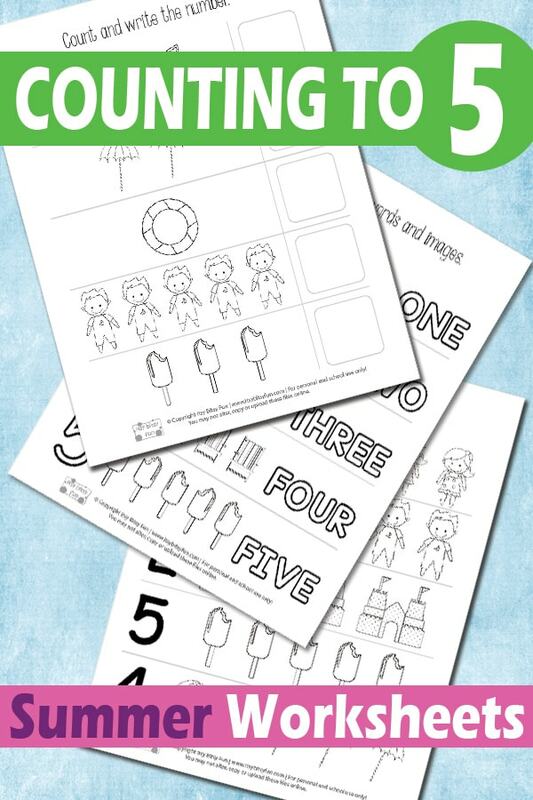 Well, we have made a nice beginner pack exactly for the occasion, so let’s solve some cool summer counting to 5 worksheets and have fun at the same time! 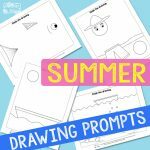 These summer-themed counting from 1 to 5 worksheets are an easy and a fun introduction to working with numbers. 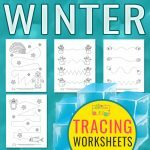 The summer counting worksheets include many black and white images, so your kids can enjoy in coloring too. 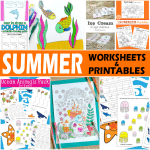 With summer just around the corner, we present you a lovely learning pack – summer counting to 5 worksheets. The set includes 5 different pages. Let’s have a look at the first one, where kids need to color the big numbers, the images beside them and the written word of each number. This way they will relax while coloring and learn subconsciously at the same time. On the second page, young learners need to recognize the number and color the same amount of images. There are girls, boys, sandcastles, ice creams and beach umbrellas that need your attention. On the third page, you will find 5 different groups of objects. The goal is to count how many objects the group has and connect that group with the correct number on the right side of the page. This way, your kids will strengthen the recognition of groups and numbers that describe them. The fourth page is an upgraded task – young learners need to count the objects on the left side and write their number in the box at the end of a row. And on the last page, you will find an I spy game. Kids need to count how many of the same objects they see and write down their number. 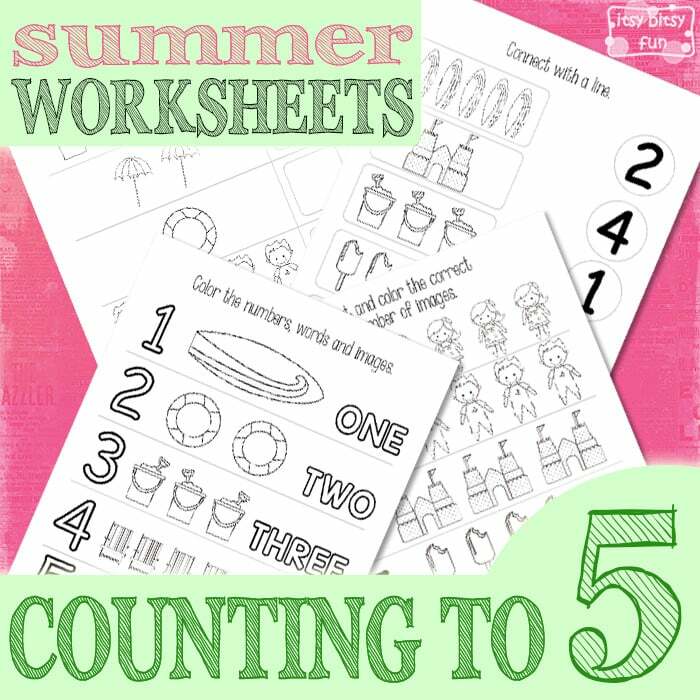 Get your free printable Summer Counting to 5 Worksheets here. 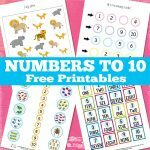 If you need some more practice with numbers, take a look at the Summer Color by Number Worksheets and if you need some more counting material, print out the cool Learning Numbers from 1-10 Pack.